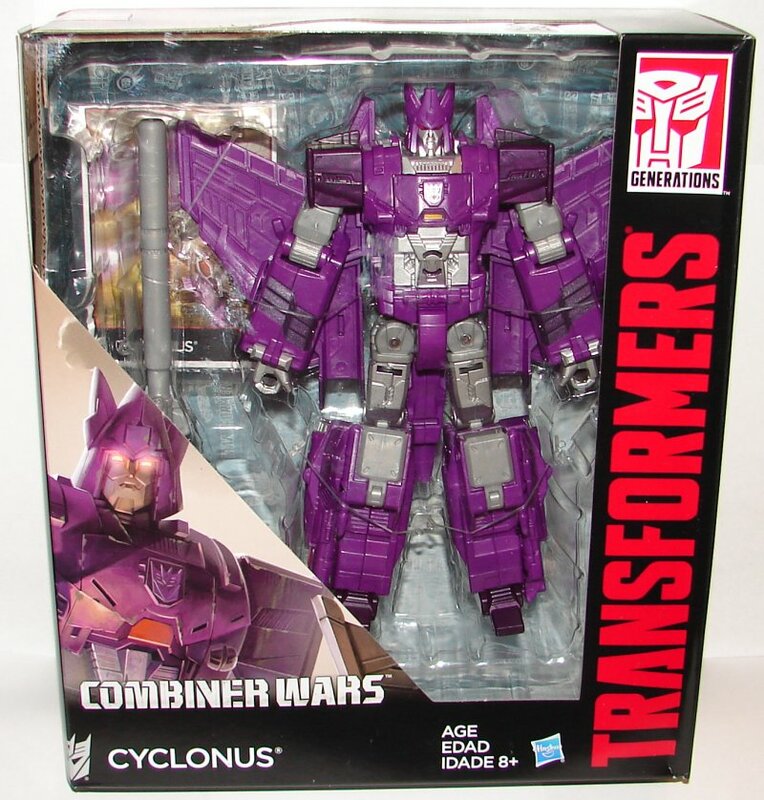 Cyclonus is repainted and remolded from Transformers: Generations: Combiner Wars Voyager Silverbolt. You can read my Silverbolt review here. Vehicle Mode: When I head they were remolding Silverbolt into Cyclonus I really wasn’t expecting much, but he came out amazing. They remolded the entire top of his jet mode, including his wings, rear stabilizers, and nose. From the top, you wouldn’t even imagine that it’s the same toy. He looks truly fantastic. 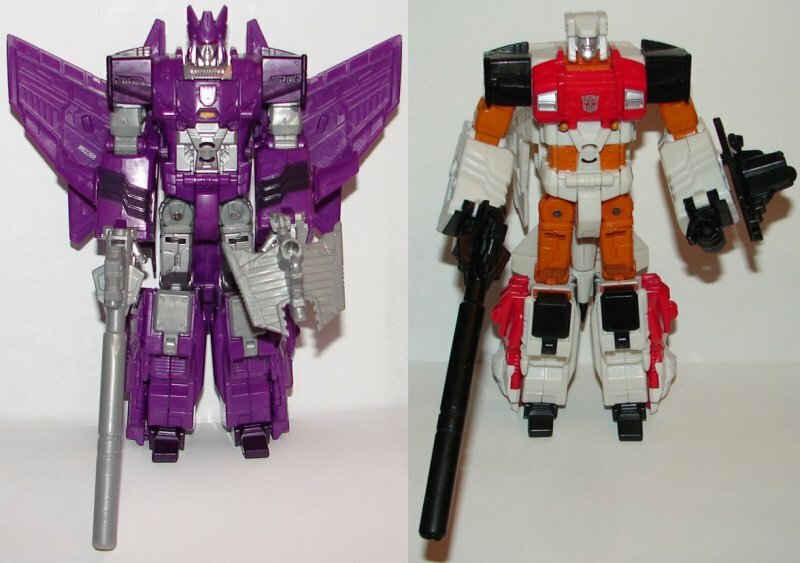 Robot Mode: In robot mode, aside from him obviously having the same gun mold as Silverbolt, you can see they are the same mold in the lower torso, arms, and legs. His head and chest have been completely remolded to make him a perfect Cyclonus. Note the small wings on his arms. These are removable, as they need to be put into different ports (the underside of his hands) in vehicle mode. Overall: I am not a big fan of these non combiner characters being turned into combiners, but the fact is that the toy looks amazing even if you ignore that ability (which I’m choosing to do). This one is a must. A friend of mine suggested they could do Scourge as a limb and he could combine with four of them. That’s not a bad idea, but I doubt Hasbro would make a Scourge limb with the expectation that people would buy four of them. He’d most likely have to include some other characters as well. 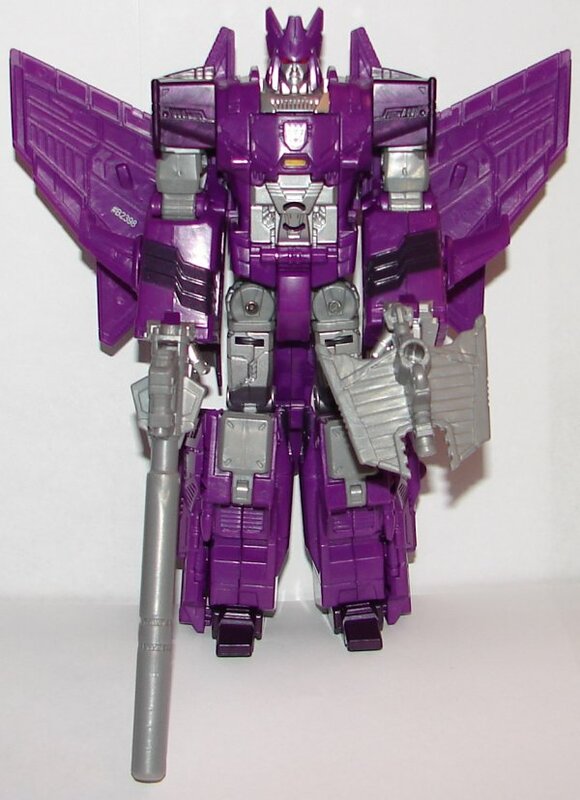 Perhaps a deluxe seeker mold from one of the Aerialbots for either Starscream, Thundercracker, and Skywarp, or more logically, the cone head jets, as the original three died when Cyclonus was created (or shortly thereafter). This entry was posted in Toy Reviews, Toys, Transformers and tagged Combiner Wars, cyclonus, Generations, Silverbolt, Toys, Transformers, Transformers Generations. Bookmark the permalink.